In honor of Passover, Balaboostas.com brings to one of you, the “No-Potato Passover” cookbook, by Aviva Kanoff! 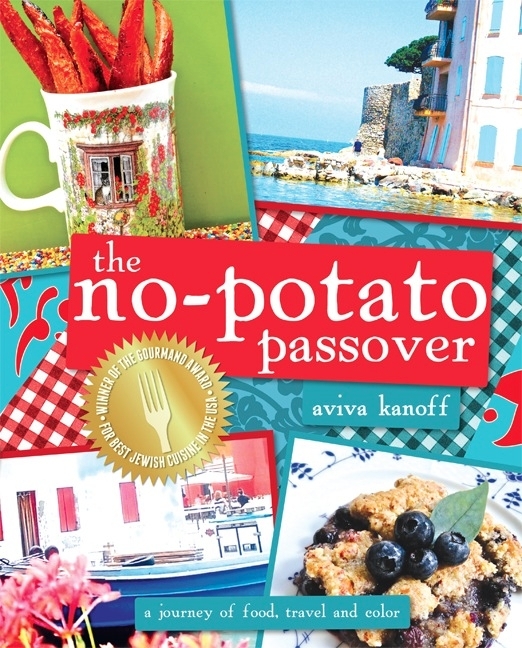 Experience Aviva Kanoff’s newly revised and edited, The No-Potato Passover. Explore the tastes and colors of cultures far and near with Aviva, as she puts her creative spin on exotic cuisines just in time for Passover! Jamaica and Morocco, Aviva brings the culinary world to your kitchen workstation. Leave behind plain potatoes this Passover and opt for healthy and creative options, such as quinoa and spaghetti squash. Make that starchy Passover substitute, the plain potato, an ingredient of Passovers past!